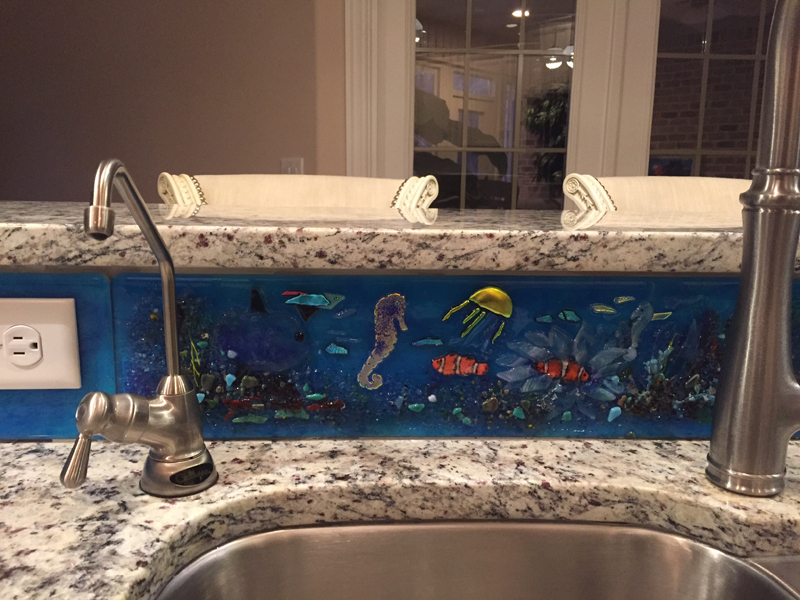 We created these unique fused glass border tiles for out client in Wilmington, NC. The tiles precisely wrap around the 6″ border area in the kitchen island and provide a wonderful splash of color. 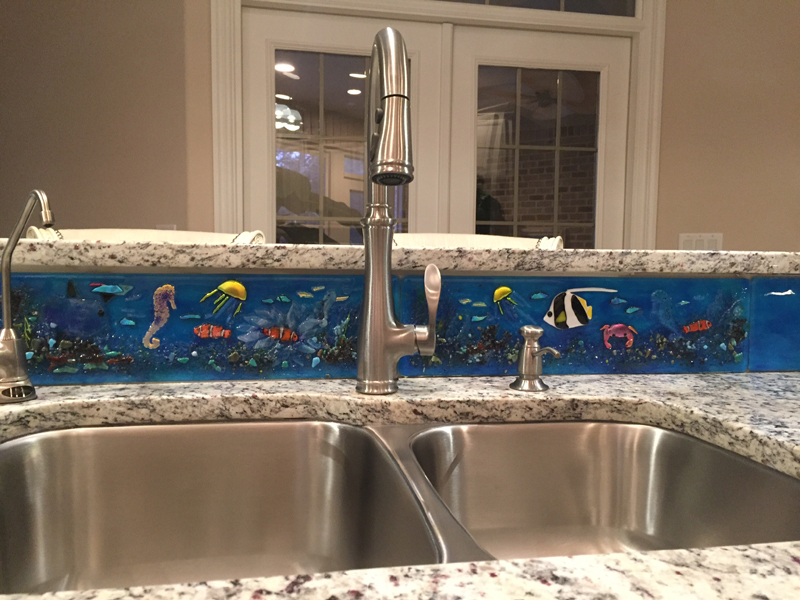 We also created the sealife backsplash and kitchen cabinet knobs and pulls.